Architect: Master Builder (kalfa) Simon (Semyon, Simeon) the Rum (Greek). 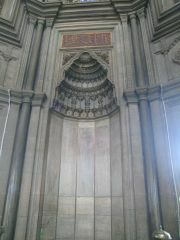 Calligraphers: Ali Effendi of Bursa, Mehmed Rasim, Fahreddin Yayha, Seyyid Abdülhalim. 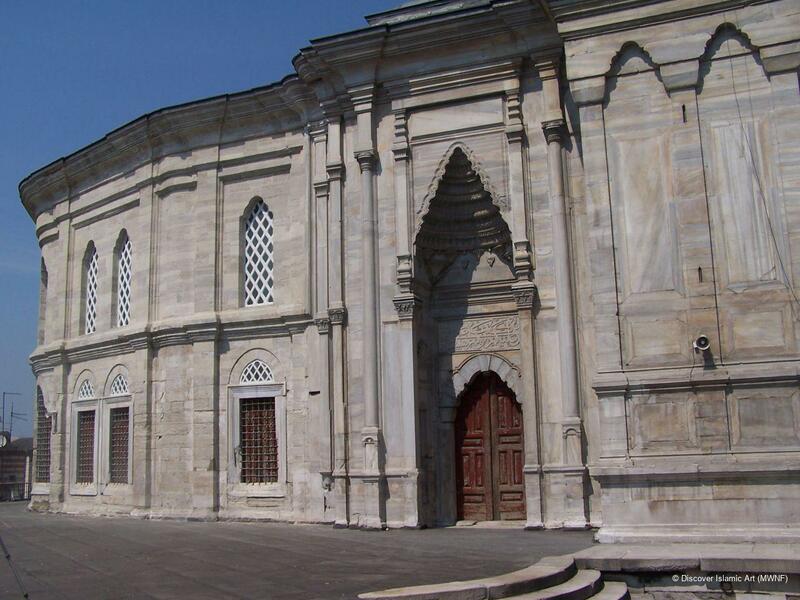 Sultan Mahmud I (r. AH 1143–67 / AD 1730–54); Sultan Osman III (r. AH 1167–70 / AD 1754–7). 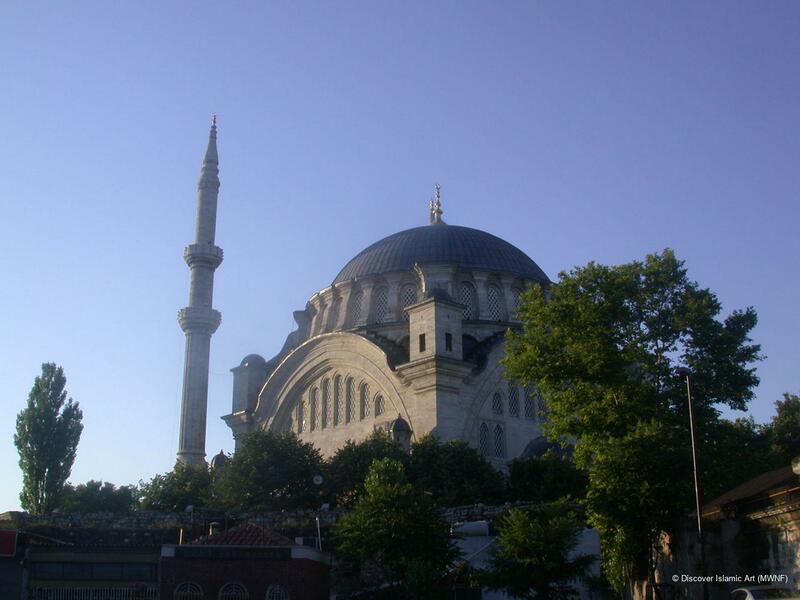 The Nuruosmaniye Mosque takes the central place amongst the other buildings of the complex, the madrasa, imaret, library, tomb, sabil, and fountain, with shops surrounding these structures. 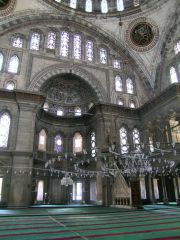 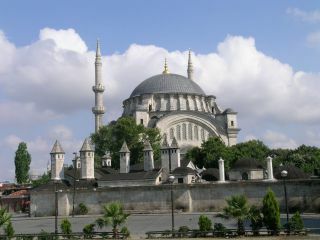 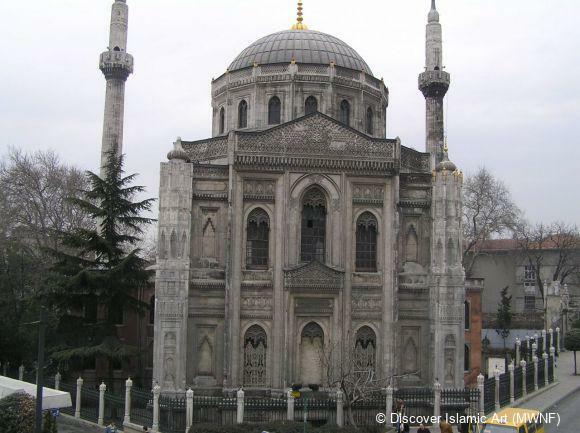 The mosque is recognised as the most powerful example of the Baroque in Ottoman architecture. 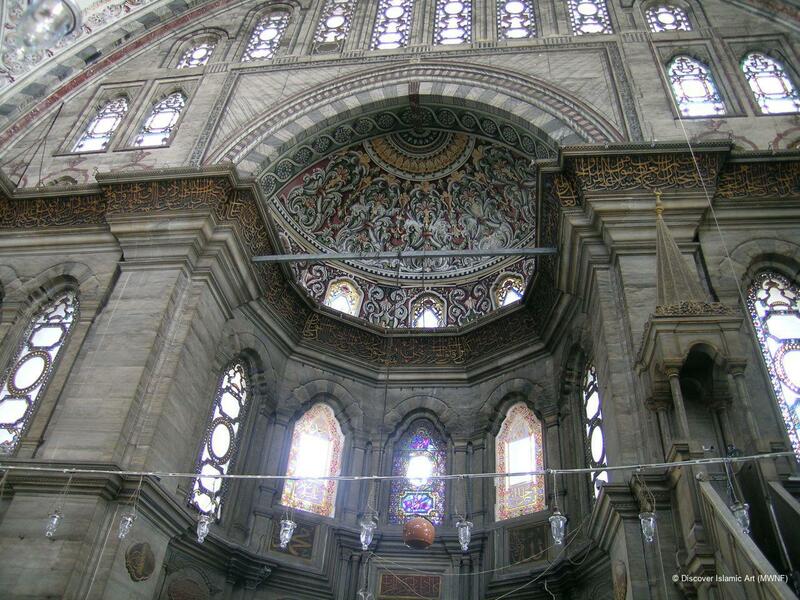 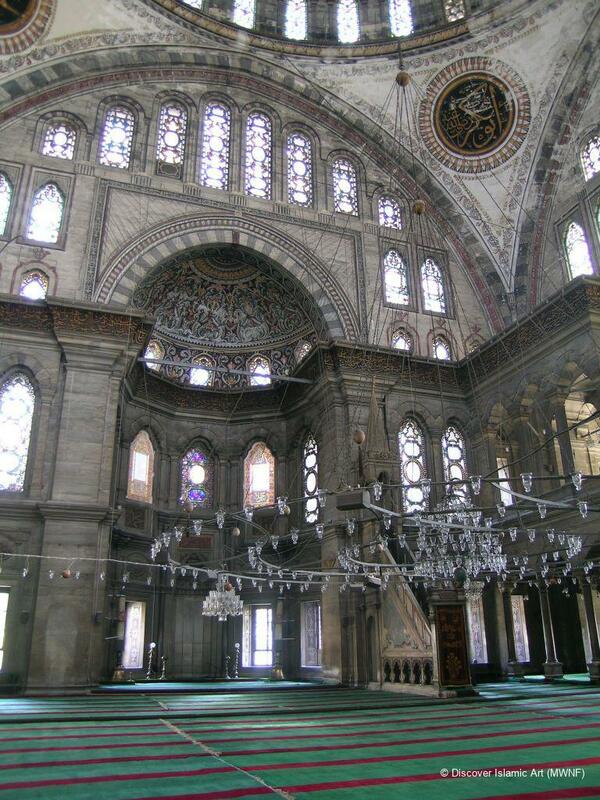 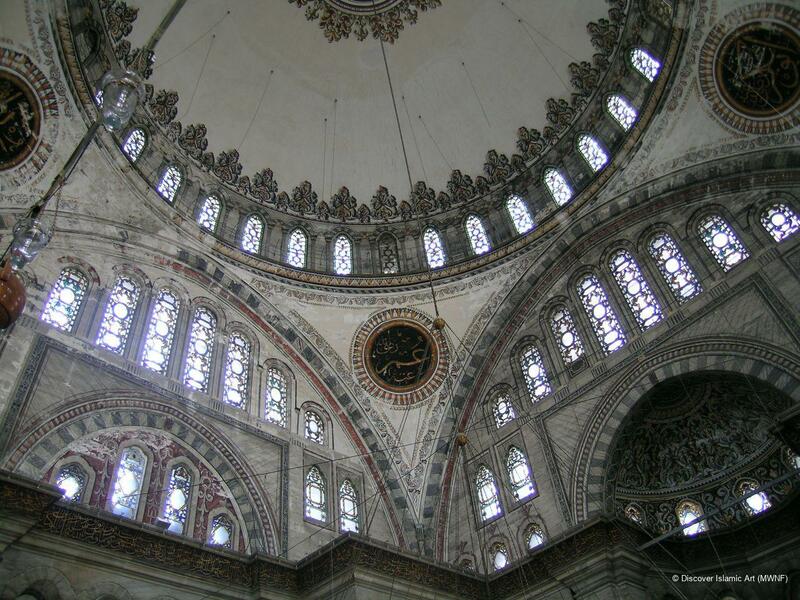 In order to build it, Sultan Mahmud I had church plans brought from Europe. 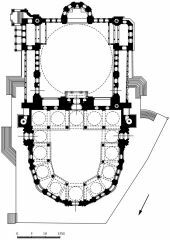 He employed a Greek master-builder named Simon and ordered that a similar building be made, but these plans could not be followed due to opposition from religious scholars. 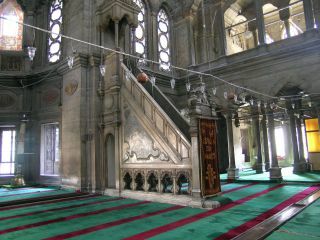 Due to the topography of the site, the mosque was built on top of a basement and its entrances placed at the top of broad, high stairs. 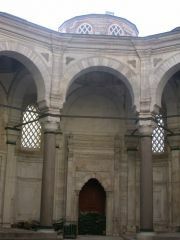 The mosque's square prayer hall built according to the traditional scheme is covered with a dome measuring 25.75 m in diameter. 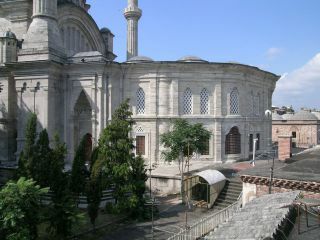 The rectangular courtyard in front of the prayer hall found in Classical Ottoman mosques, has, however, given way to a polygonal courtyard. 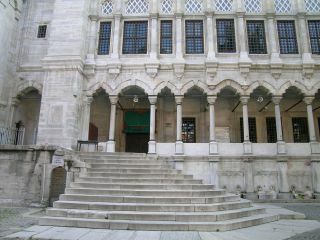 The courtyard has porticoes but no fountain. Another important feature of the building is the polygonal shape of the mihrab projection and the way it is covered with a half dome. Both the east and west ends of the portico for latecomers have a minaret with two balconies and a stone finial. 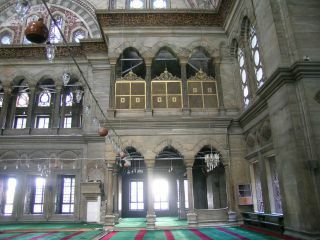 Each of the porticoes extending along the east and west façades of the prayer hall join a gallery opening into the prayer hall on their southern end. 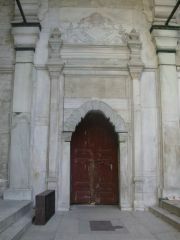 The portico on the east side was the sultan's loge, accessed by a ramp. 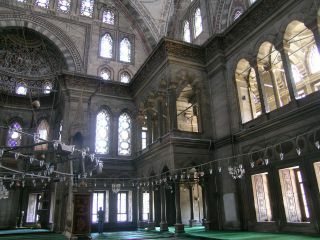 The interior is surrounded by high galleries running the length of the east, west, and north walls. 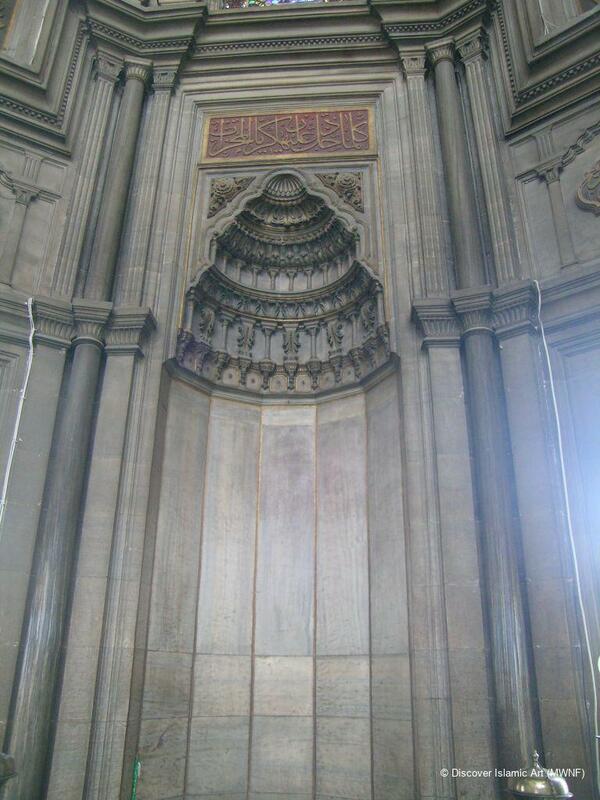 The marble mihrab and minbar have profiled mouldings. 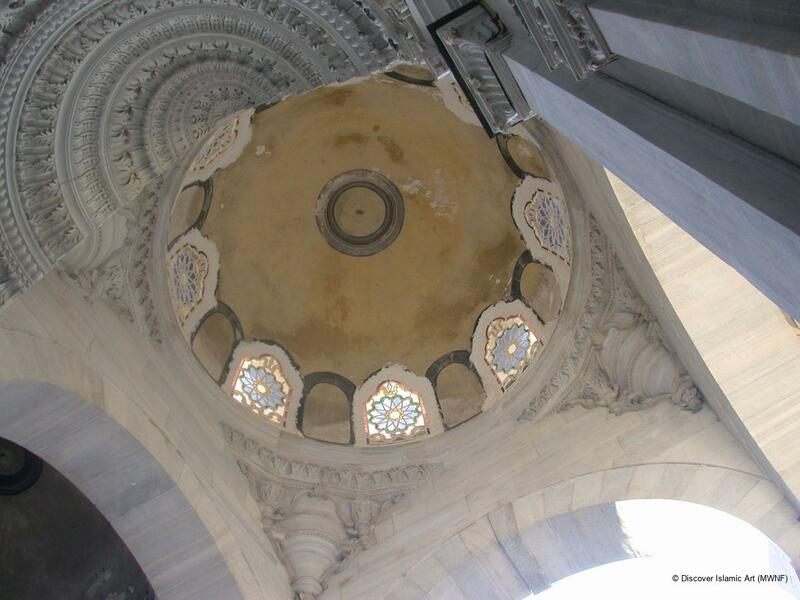 The dome, which sits on top of a quadrangular baldachin and dominates the whole building, ascends with a great effect of plasticity. The strong profiles of the main arches, the connection of these profiles to the corners with undulating lines, and the supporting of the minaret balconies on top of circular consoles instead of rows of muqarnas, are new innovations in Ottoman architecture. The exaggerated cornices with mouldings, the use of curved lines to connect these to the corners, and the supports placed one on top of the other on the walls are all associated with European architecture. 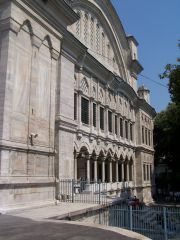 The building, completely clad in marble, is richly decorated. One of the most notable aspects of the mosque is the application of decorative elements to the architectural styles it employs. 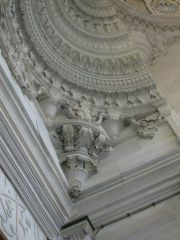 In the place of traditional elements, newly interpreted Western forms are applied. 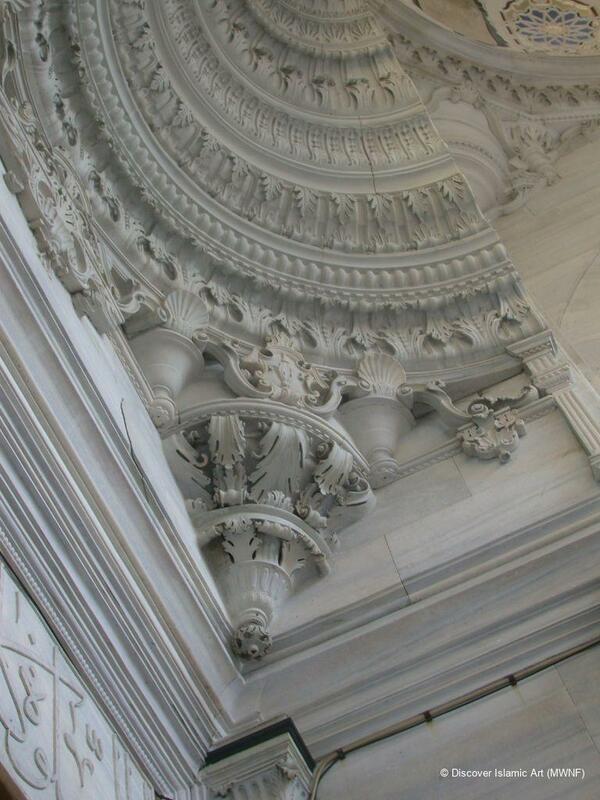 The classical forms of the arches and column capitals have changed. 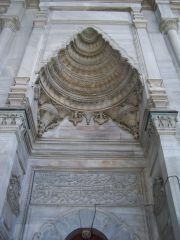 Round arches, undulating arches, corbelling, curvaceous C- and S-twists, elements with round profiles, assorted relief work, and cartouches, are all used to exaggerated effect. 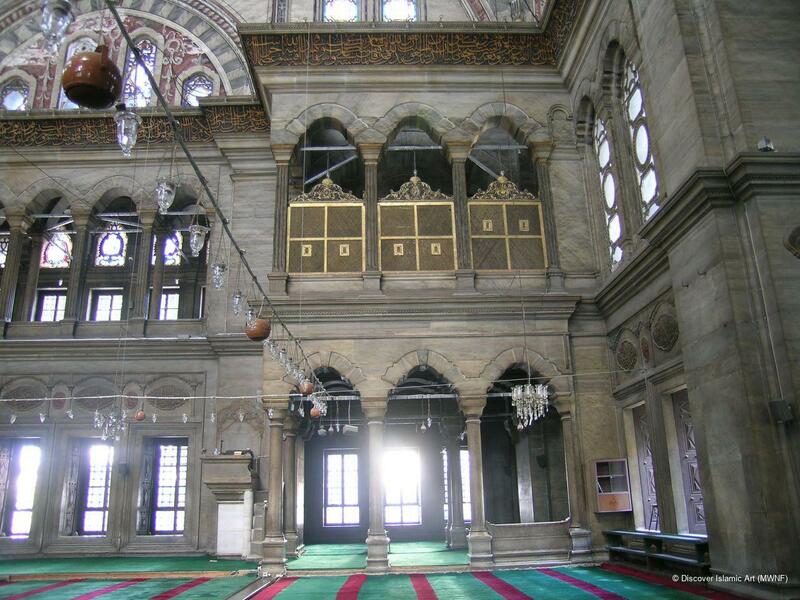 The interior features prominent inscriptions written by famous calligraphers of the time. 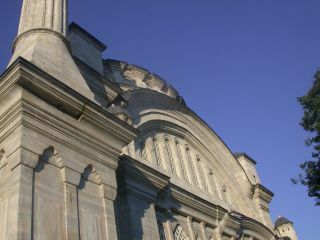 The Nuruosmaniye Mosque is one of the most important buildings of the Ottoman-Baroque style. 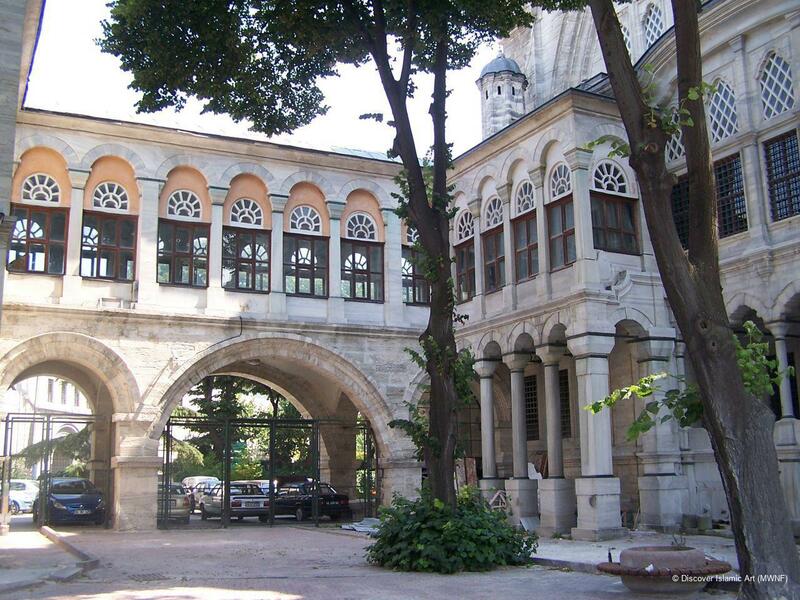 It occupies a privileged position in Ottoman architecture for its use of a polygonal courtyard with no fountain and an apsidal mihrab area that remains faithful to the traditional plan of the single-dome prayer space. The construction of Nuruosmaniye Mosque was started by Sultan Mahmud I but was completed during the reign of Sultan Osman III. 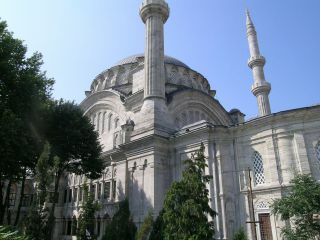 Heavily influenced by Western art, the mosque has a traditional layout with a square prayer hall covered with a single dome. Its polygonal courtyard with no fountains and apse-like mihrab alcove make it the most Baroque example of Ottoman architecture. 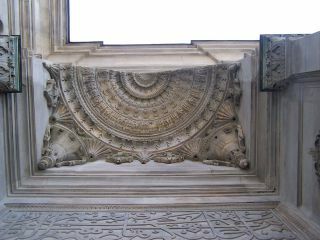 Architectural elements such as capitals, arches and conches assume Western forms given a new interpretation, moving away from traditional Ottoman forms. 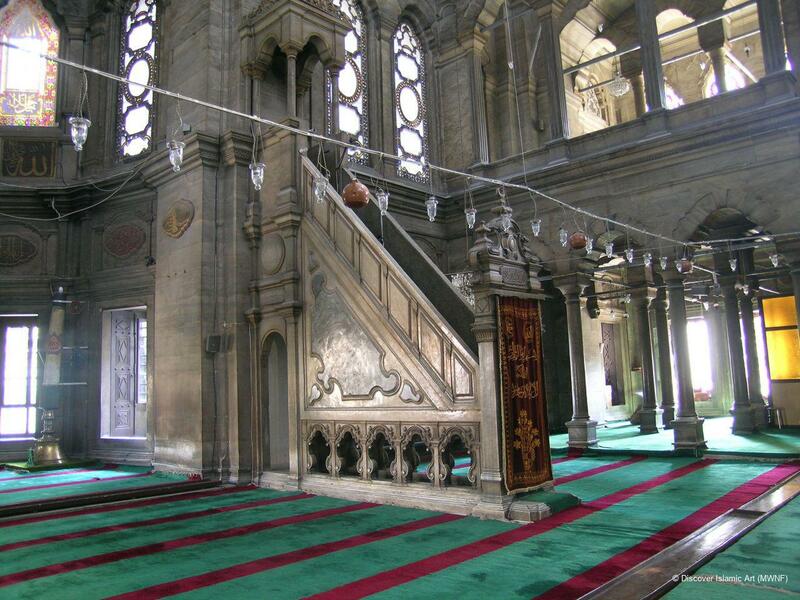 TheTarih-i Camii Şerif-i Nur-u Osmanî (History of the Noble Nuruosmaniye Mosque), by the mosque's official writer Ahmed Effendi, contains detailed information about the construction of the complex. 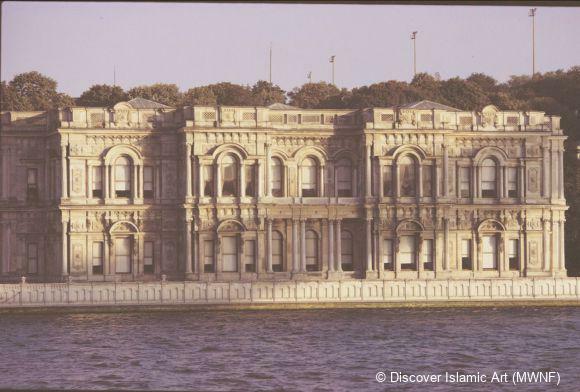 According to this document, building commenced when Sultan Mahmud I commissioned the building in AH 1161 / AD 1748. 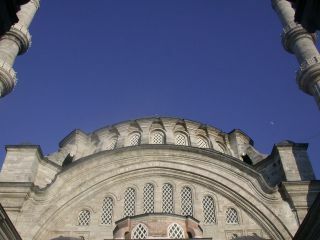 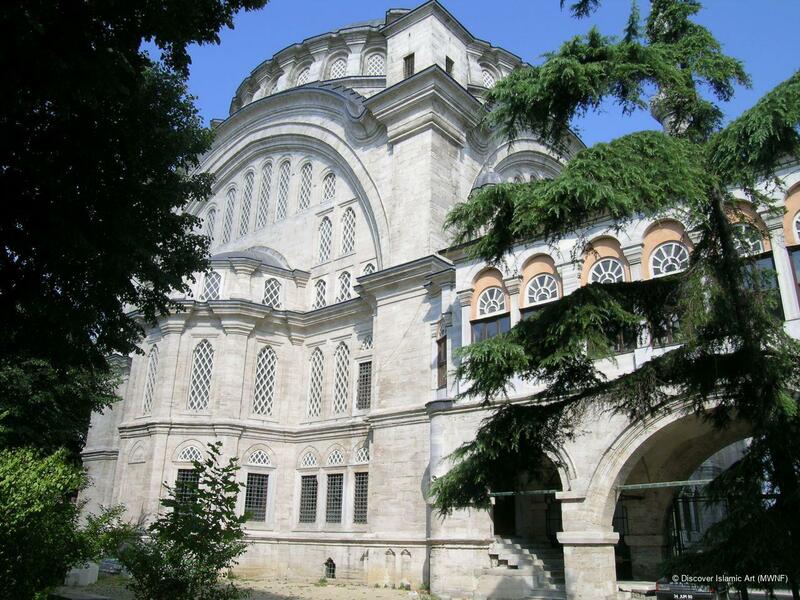 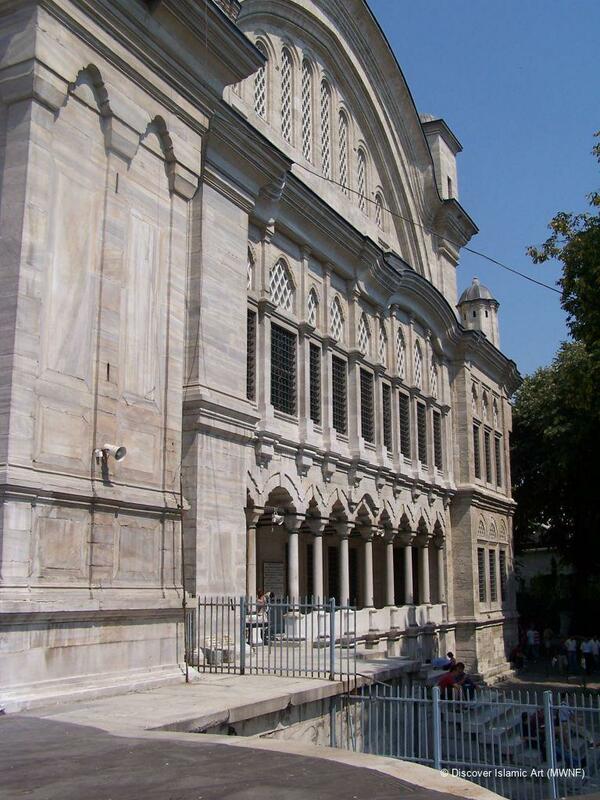 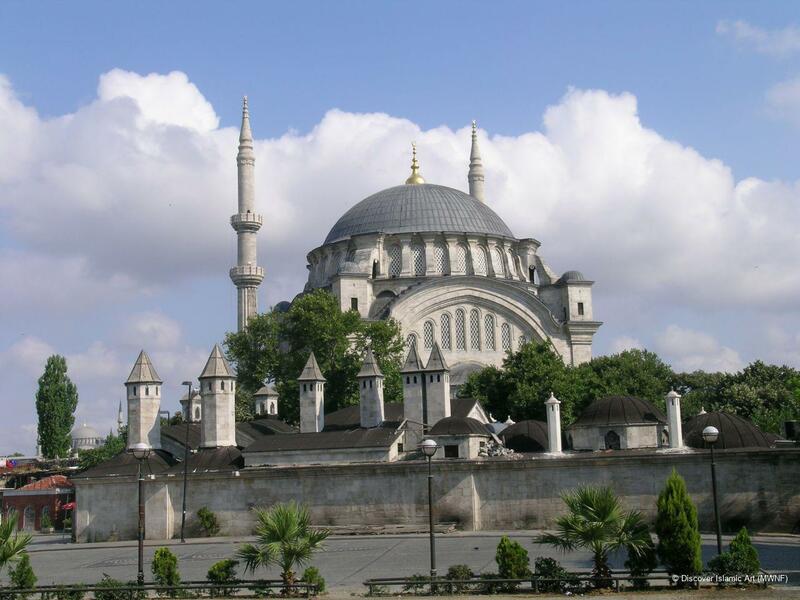 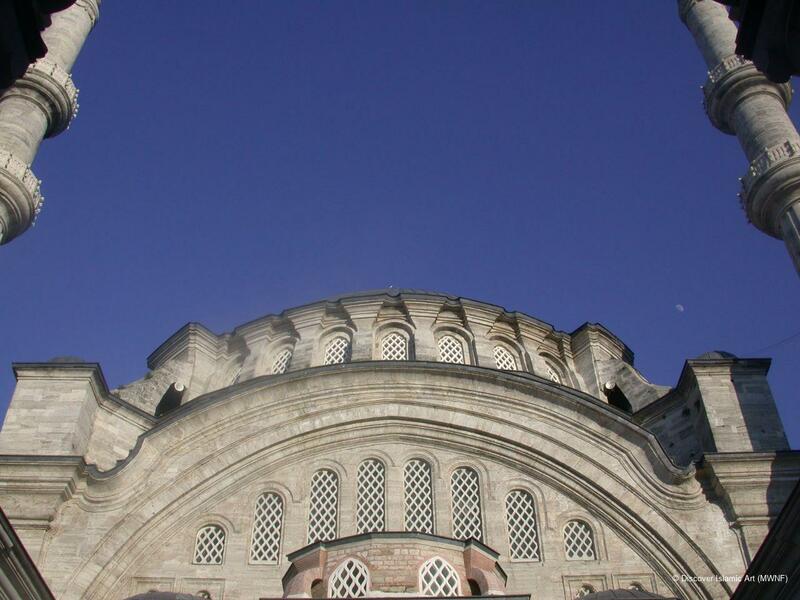 After his death, construction was completed under Sultan Osman III, in AH 1169 / AD 1755. 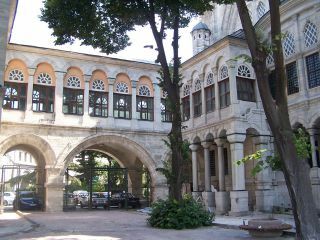 Kuban, D., Türk Barok Mimarisi Hakkında Bir Deneme [An Essay on Turkish Baroque Architecture], Istanbul, 1954. 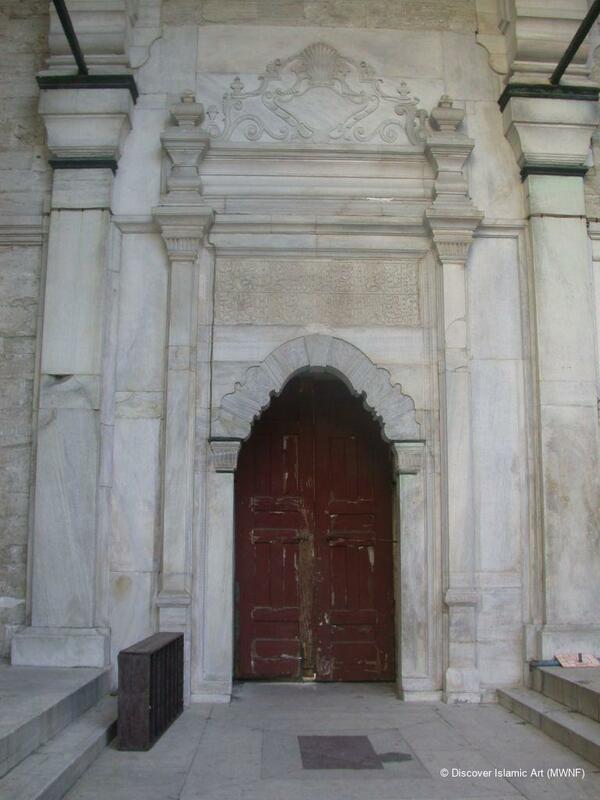 Kuban, D., “Nuruosmaniye Külliyesi [Nuruosmaniye Complex]”, İstanbul Ansiklopedisi [Encyclopaedia of Istanbul], Vol. 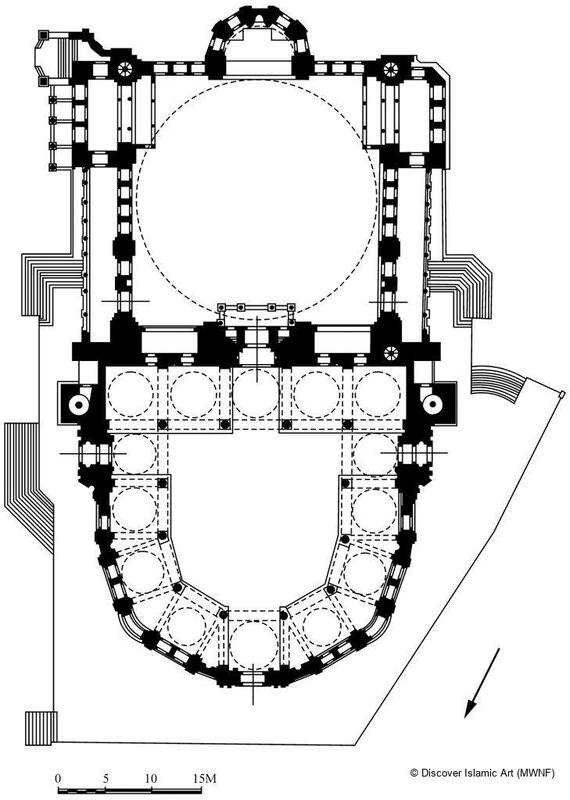 6, 1994, pp.100–104. 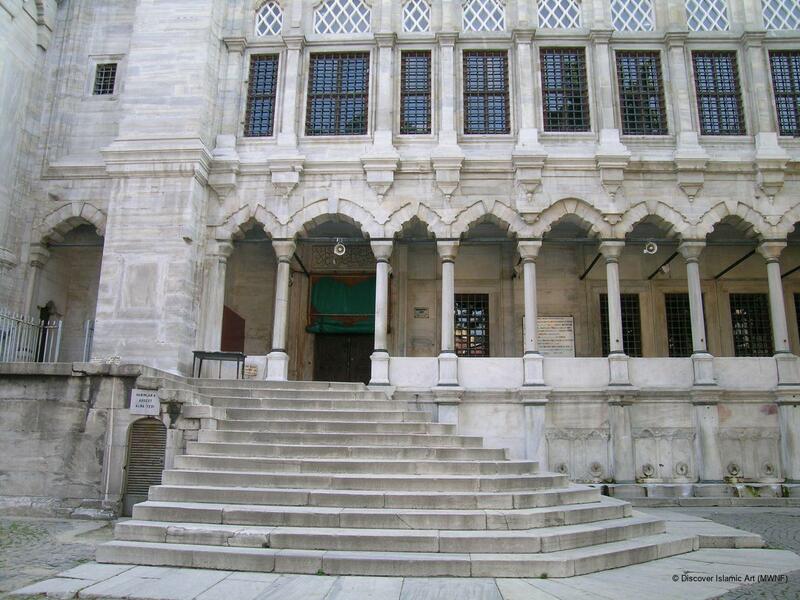 Kuban, D., Kent ve Mimarlık üzerine İstanbul Yazıları [Istanbul Essays on the City and Architecture], Istanbul, 1998.